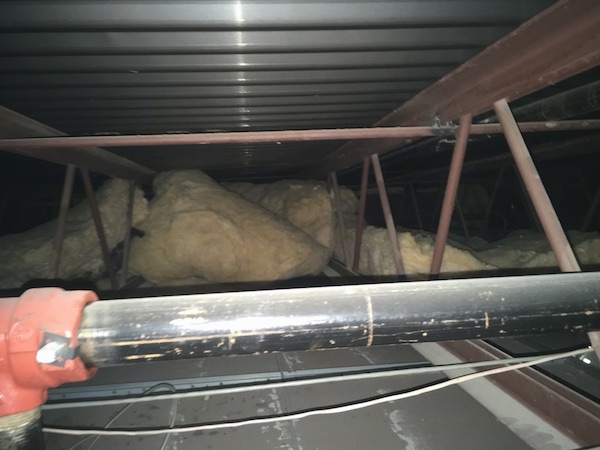 Hidden from the people below, ceiling panels often have fiberglass batts laying on top of them. Sometimes for sound control and sometimes for temperature control. While they may serve their purpose for these two things, what is not taken into consideration is the indoor air pollution. Not only are they dust collectors, but a petri dish for mold should they get wet. They eventually begin to break down into tiny particles that one cannot see. Ceiling panels are rarely ever air tight and the dust falls. More so when there is a shift in the air current inside the building, for example, when a door is opened and closed. The tiny dust particles float around the air below landing on everything and everyone. Whether you know it or not, feel it or not, you are at some point, breathing in glass. This is a ceiling panel removed located above a wrestling mat in a room where boys practice. 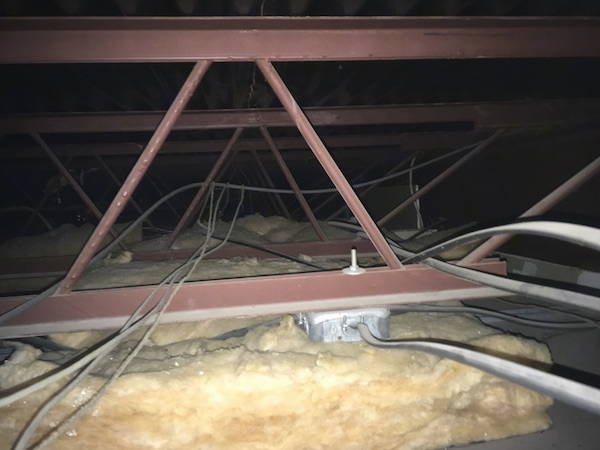 There is fiberglass insulation laying above all of the ceiling panels. The fiberglass was breaking down and becoming airborne. It is even more hazardous to one's health to exercise in a room where the small particles are floating around as you breathe in deeply. 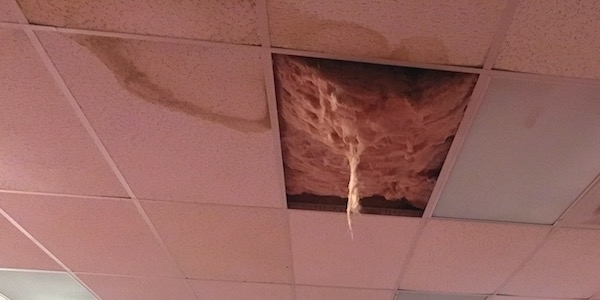 A fiberglass bet laying above a ceiling panel. These fiberglass batts were obviously disturbed at some point, most likely when wires were being worked on. Fiberglass is not supposed to be moved around once put into place, but most do not give it much thought. 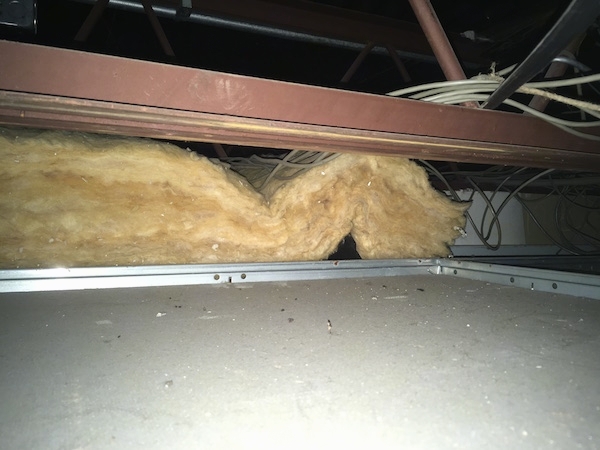 When the insulation is moved around or gets wet, it breaks down at an accelerated rate.